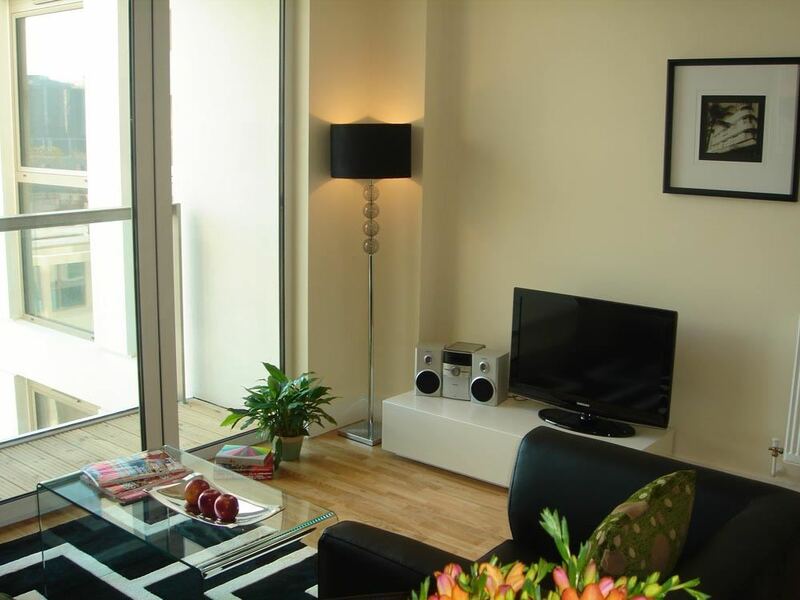 Lanterns Court Apartments 1 are based just moments from the financial hub of Canary..
Lanterns Court Apartments 1 are based just moments from the financial hub of Canary Wharf, which is surrounded by sleek modern sky scrapers, waterside bars, restaurants, cafes, shops and many international businesses. 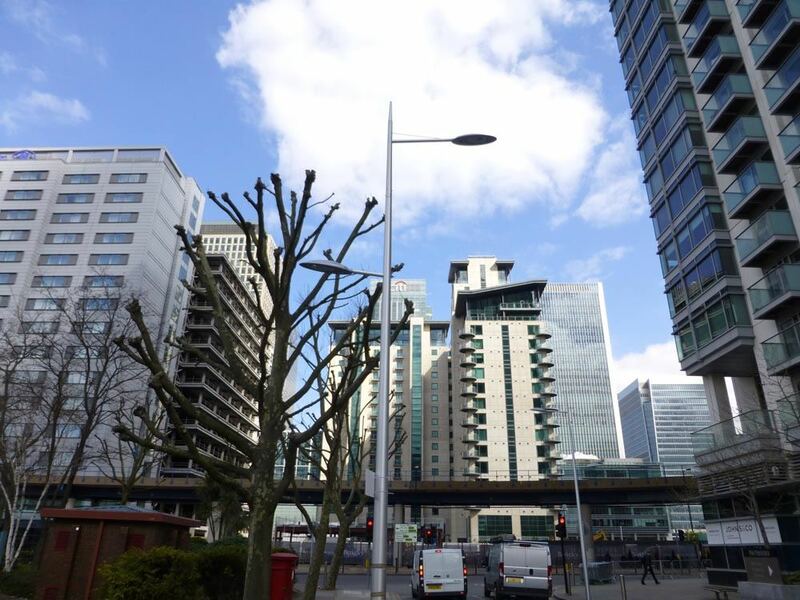 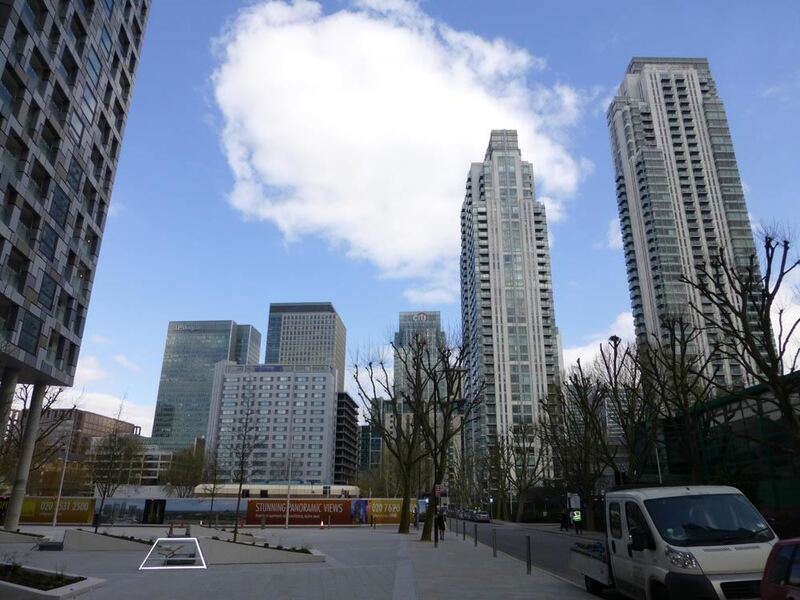 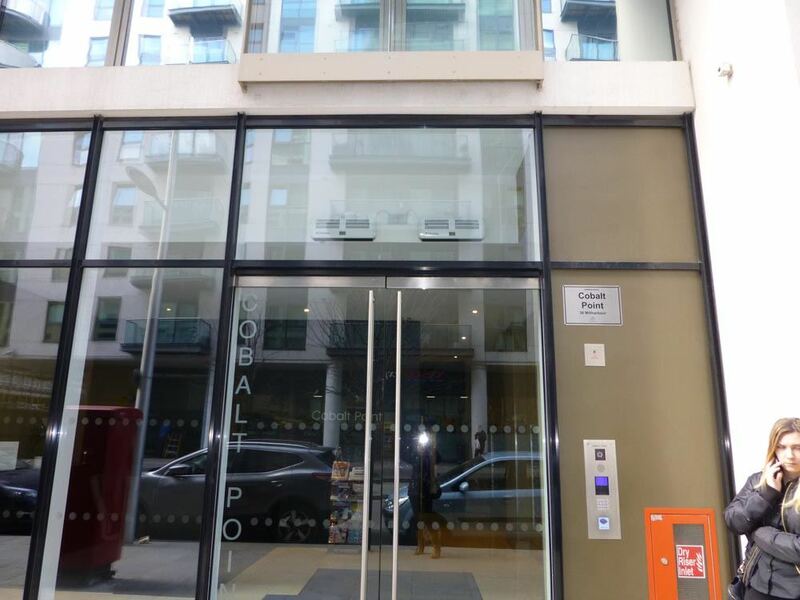 The shopping and entertainment centres around Jubilee Place and West India Quay are teeming with a wide spectrum of high street stores, cinemas, arcades and designer outlets as well as local amenities. 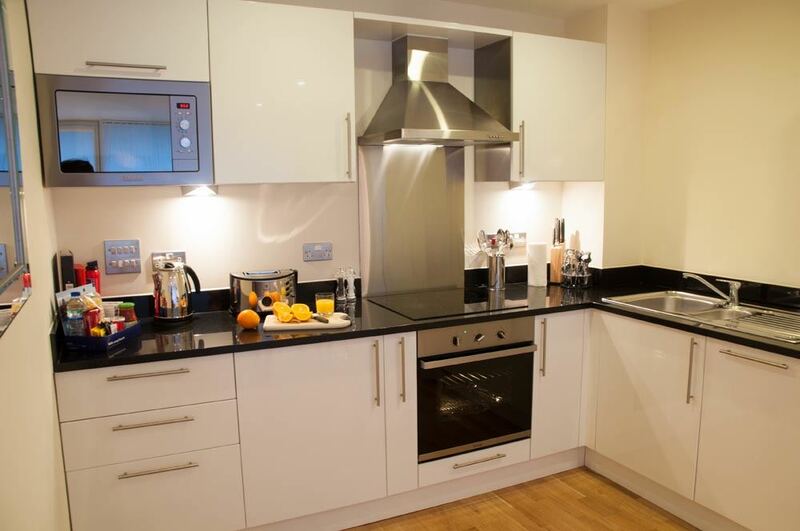 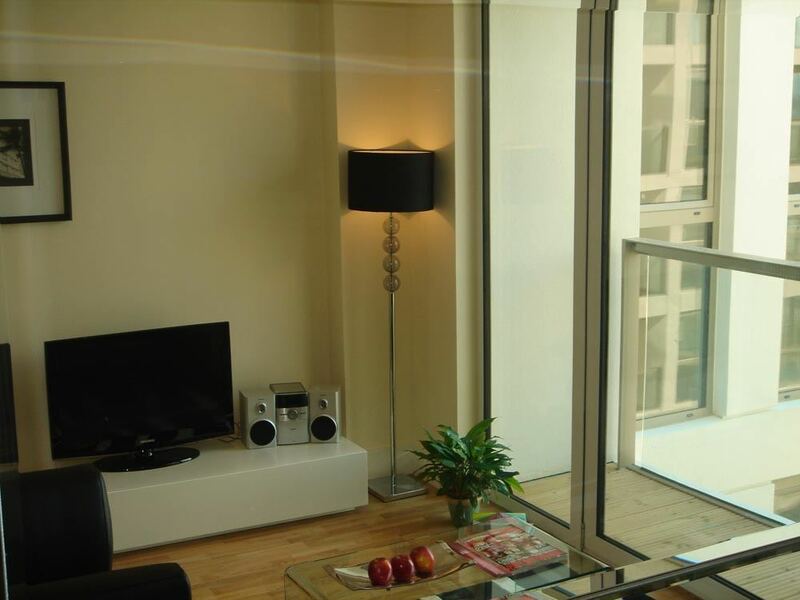 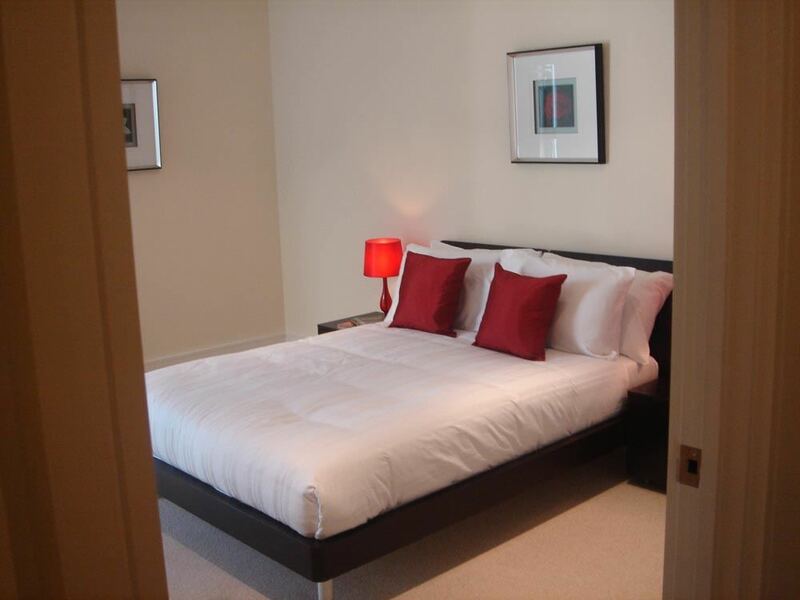 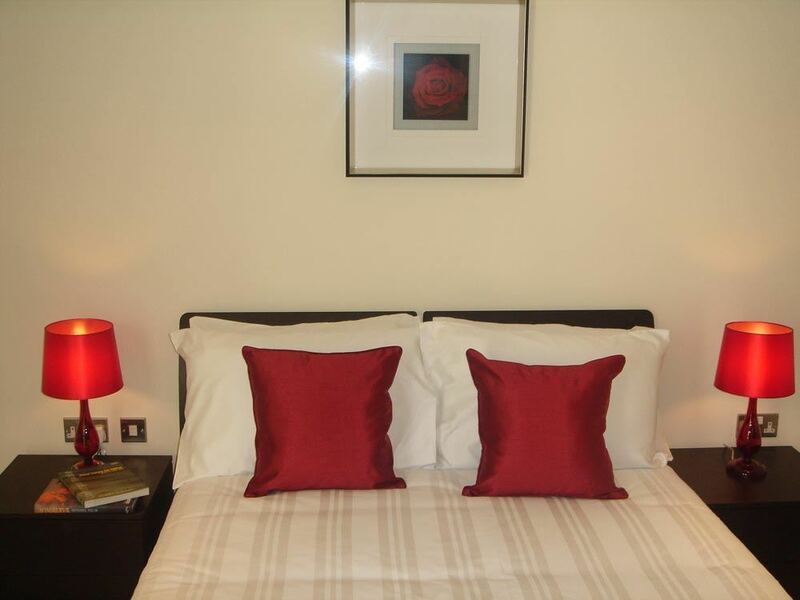 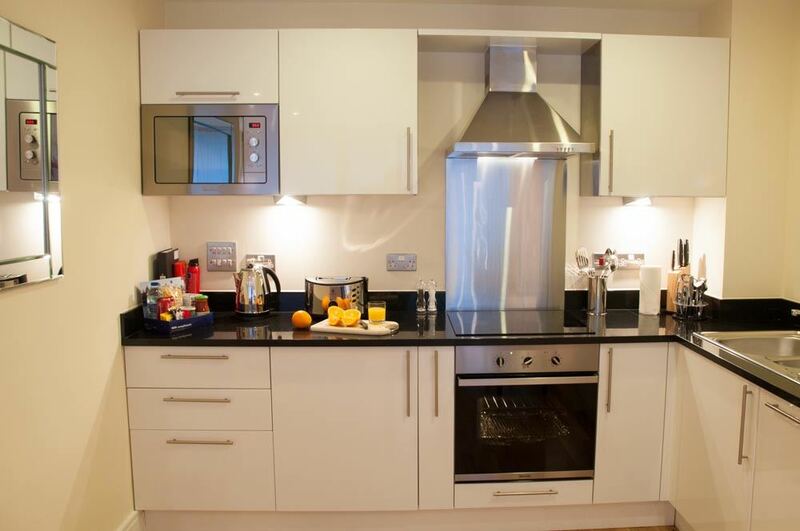 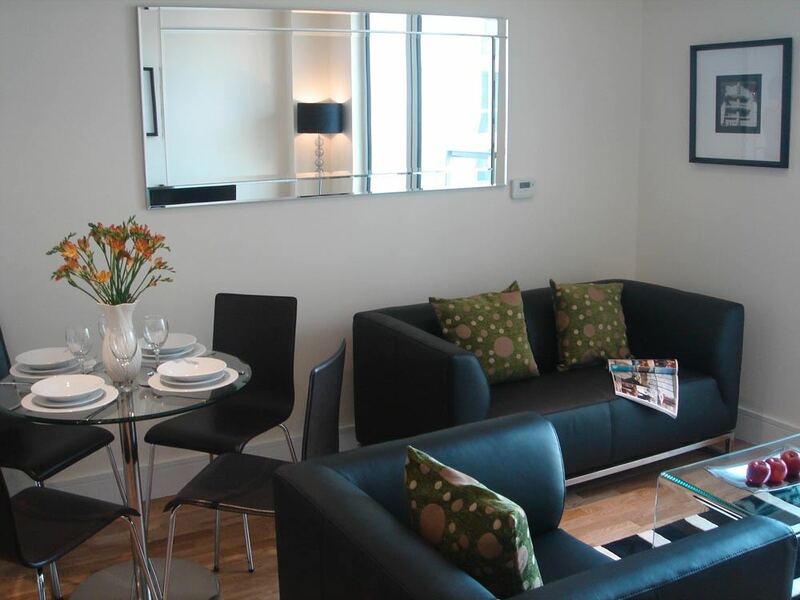 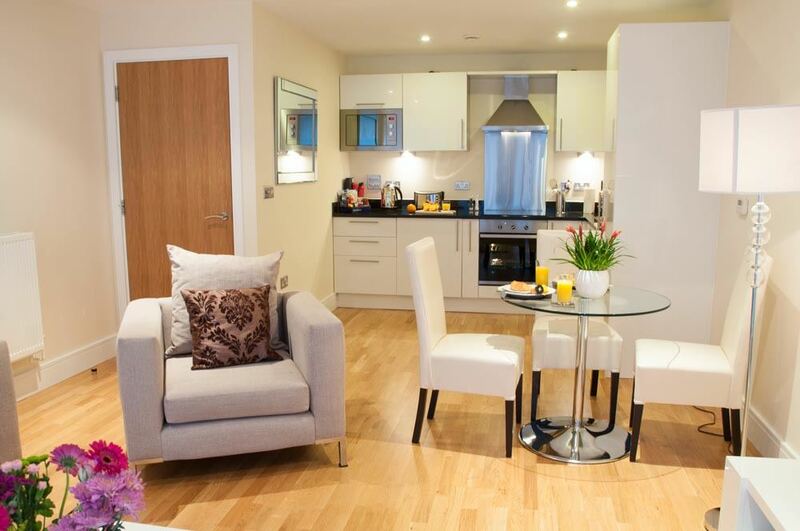 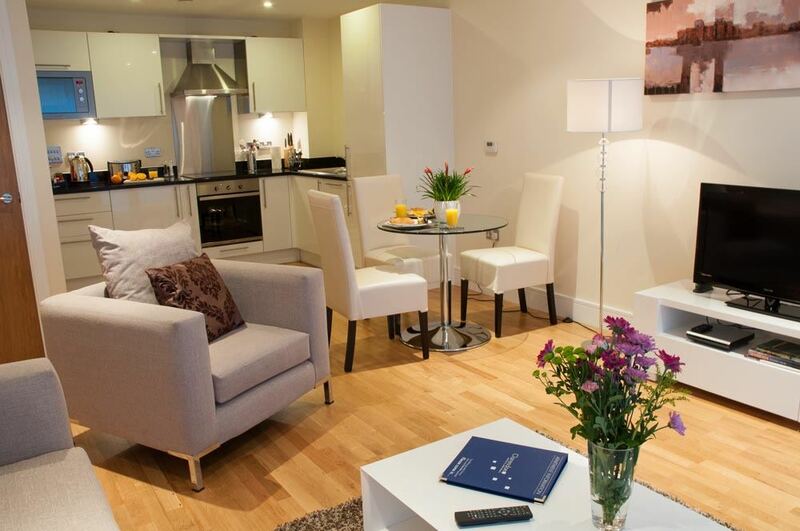 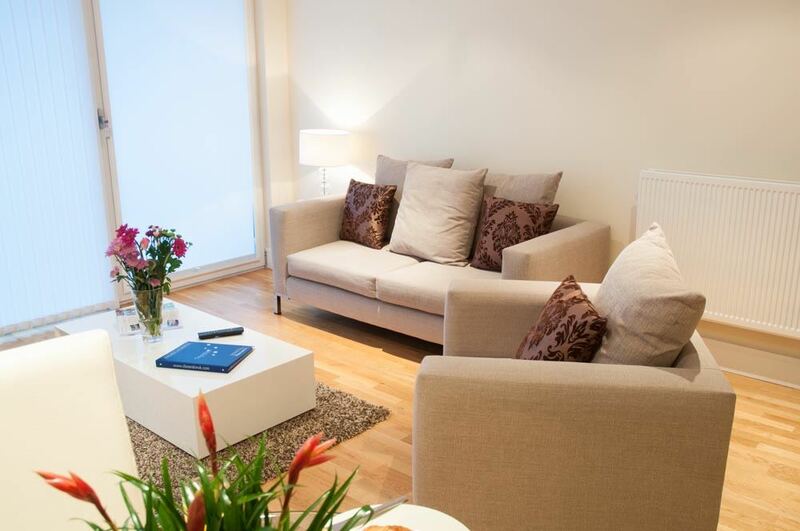 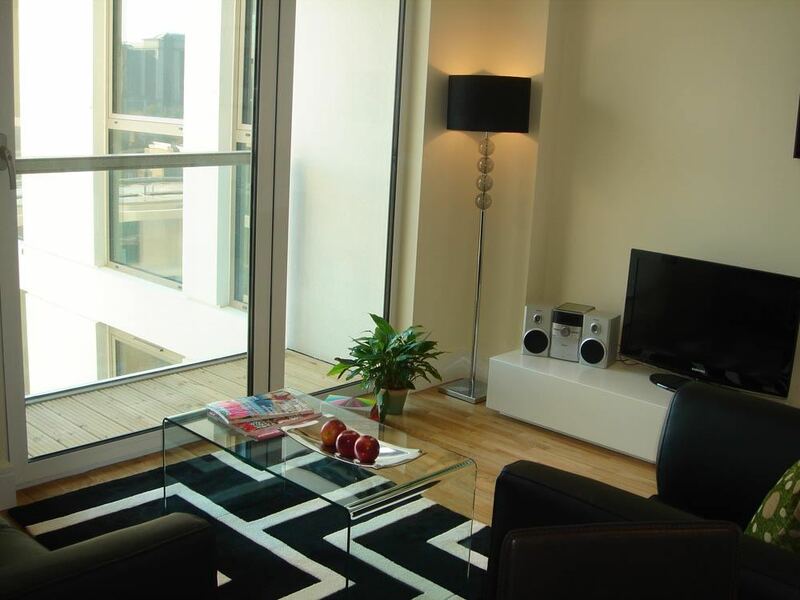 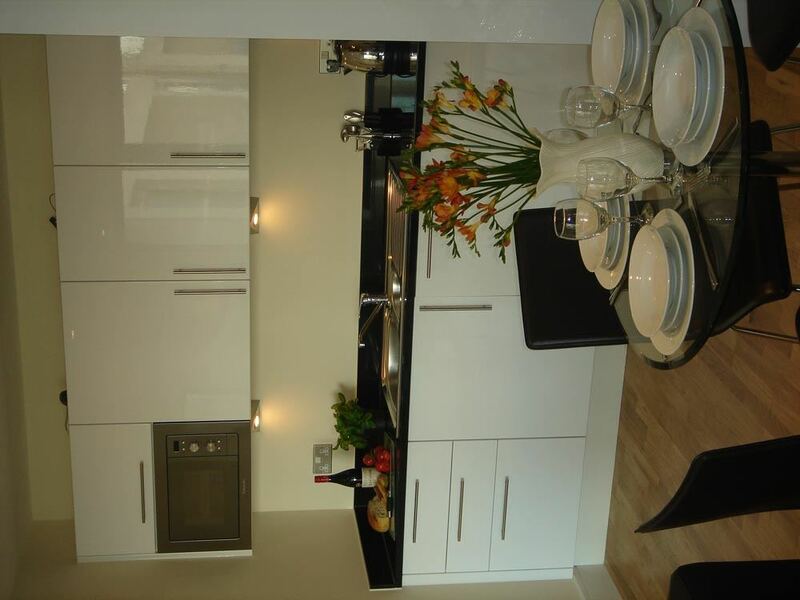 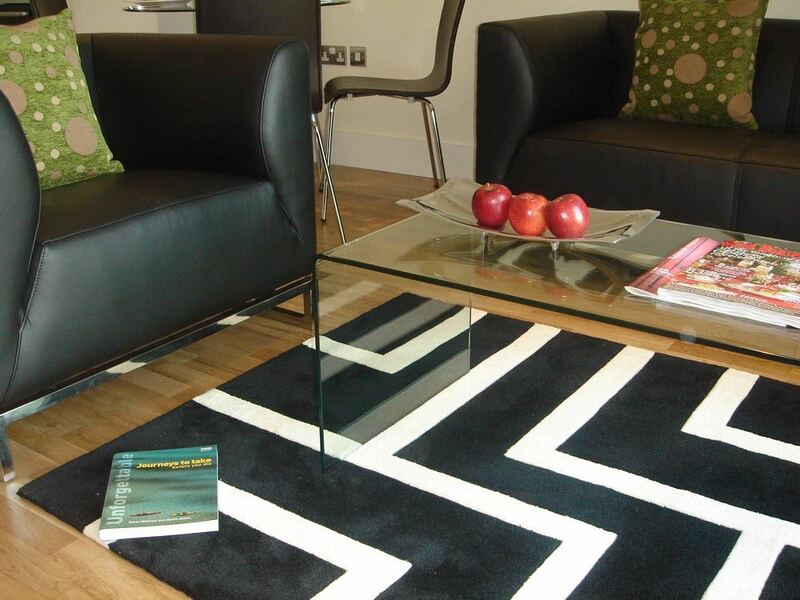 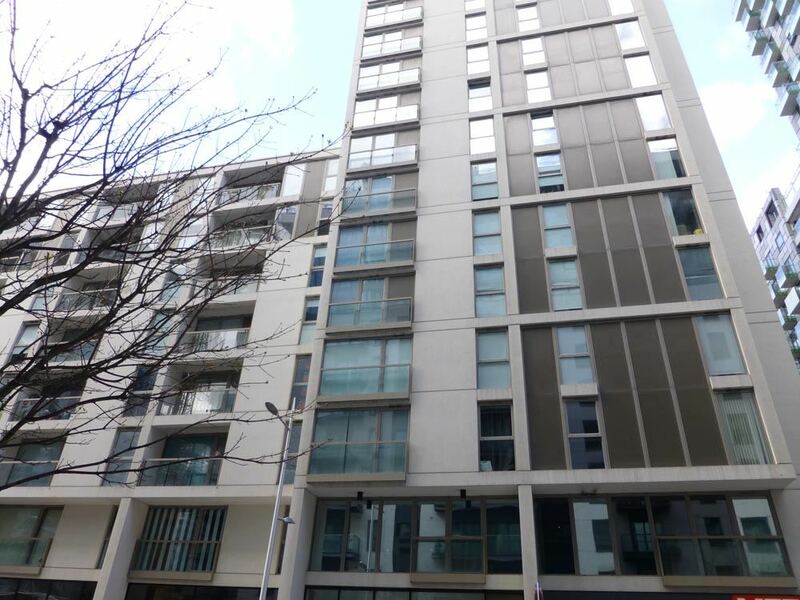 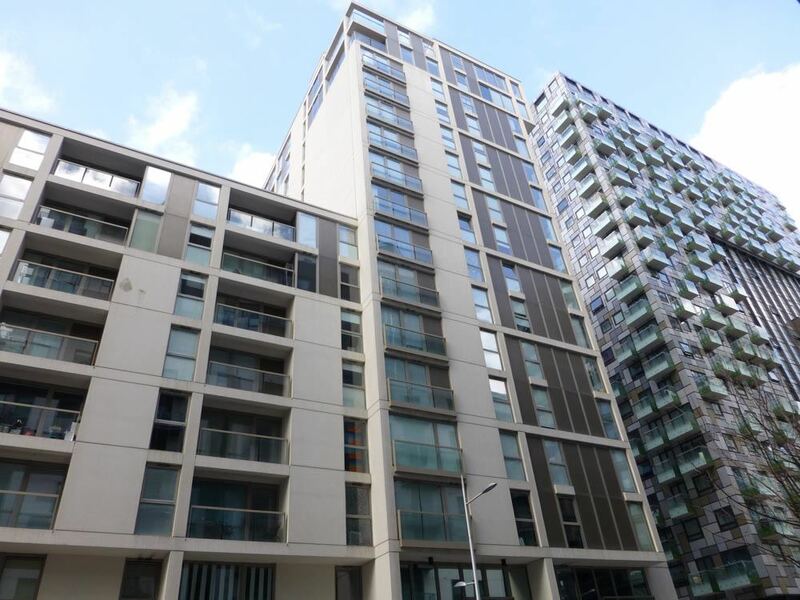 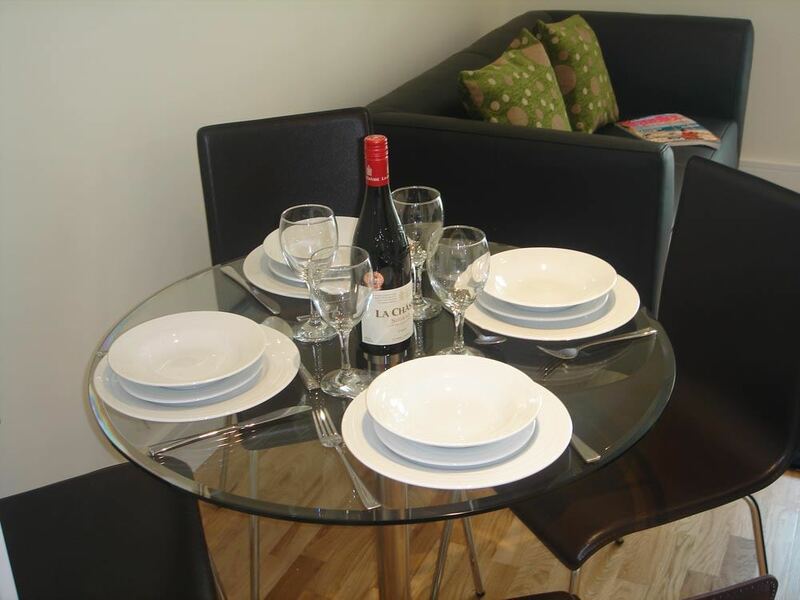 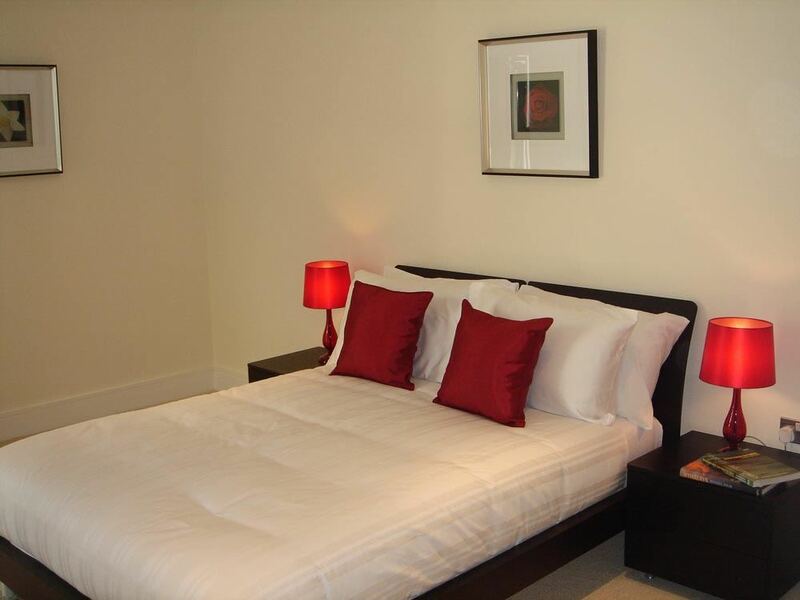 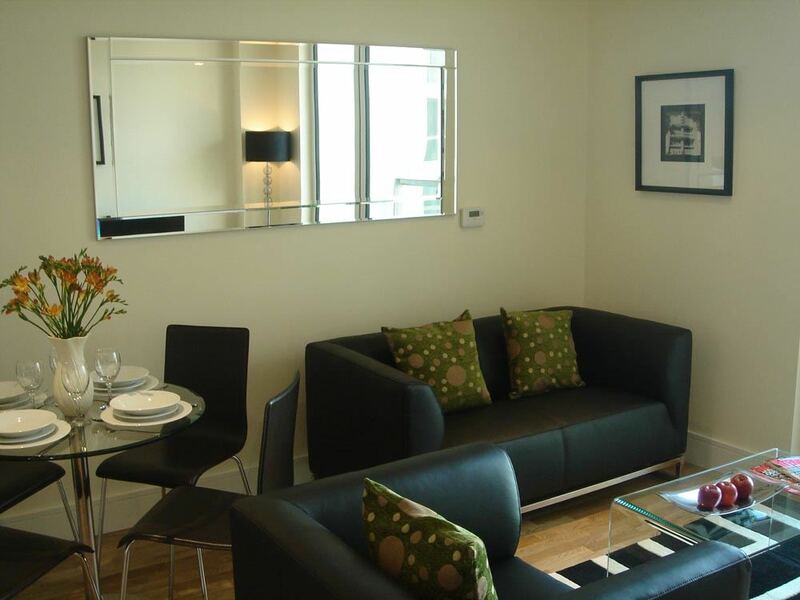 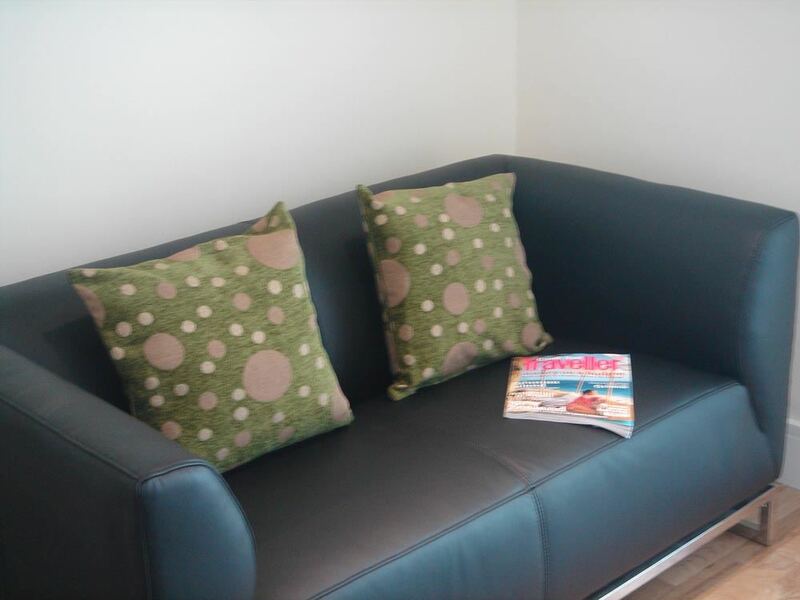 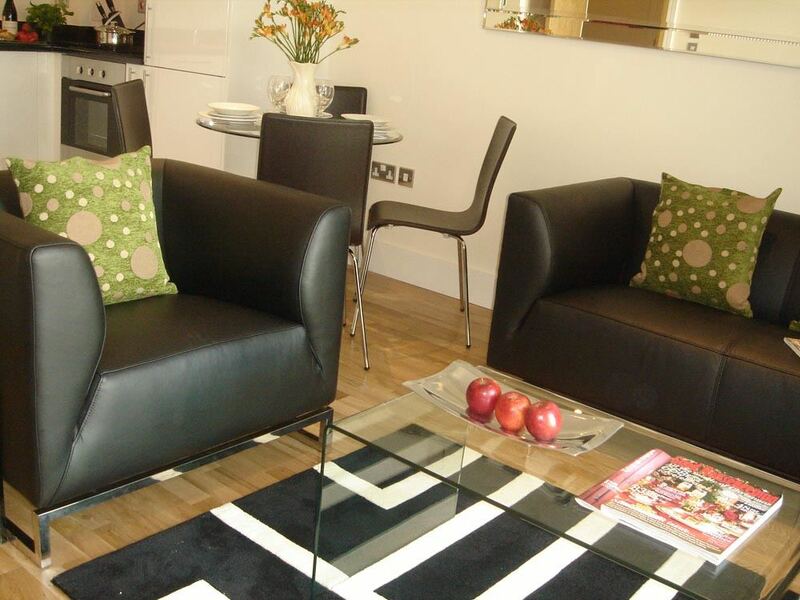 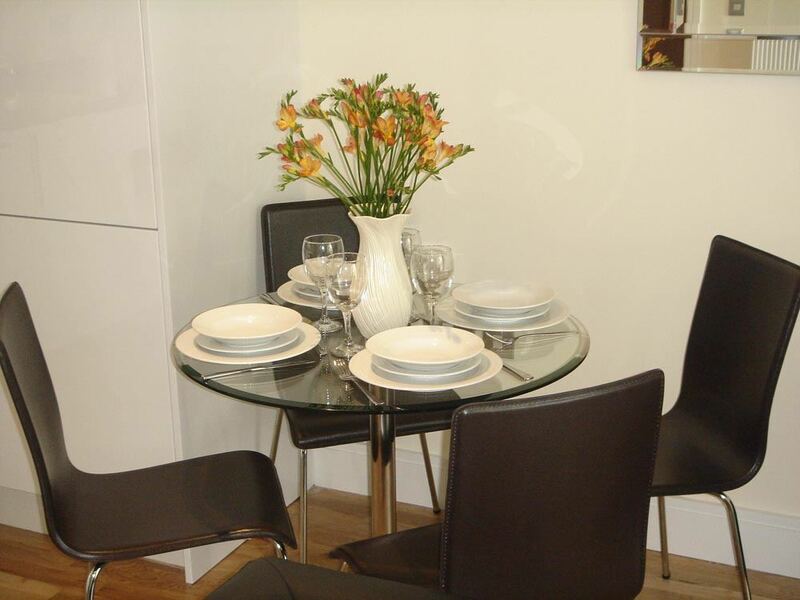 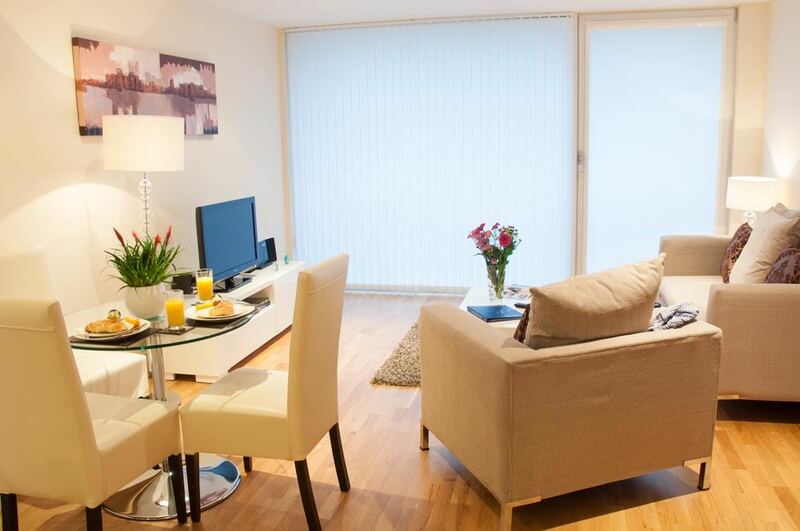 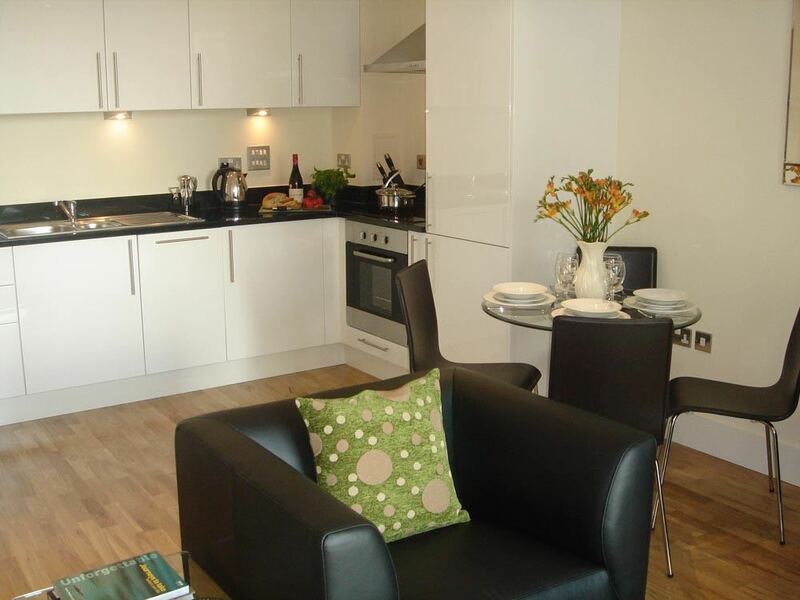 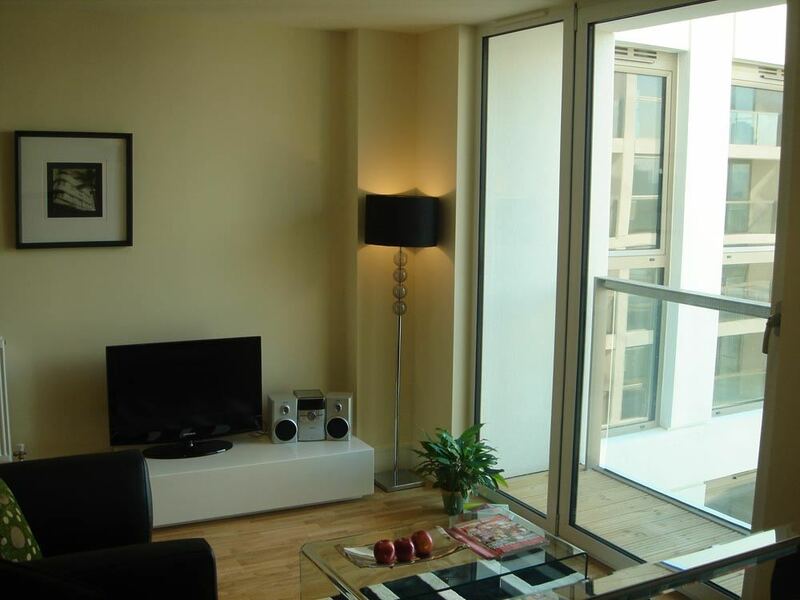 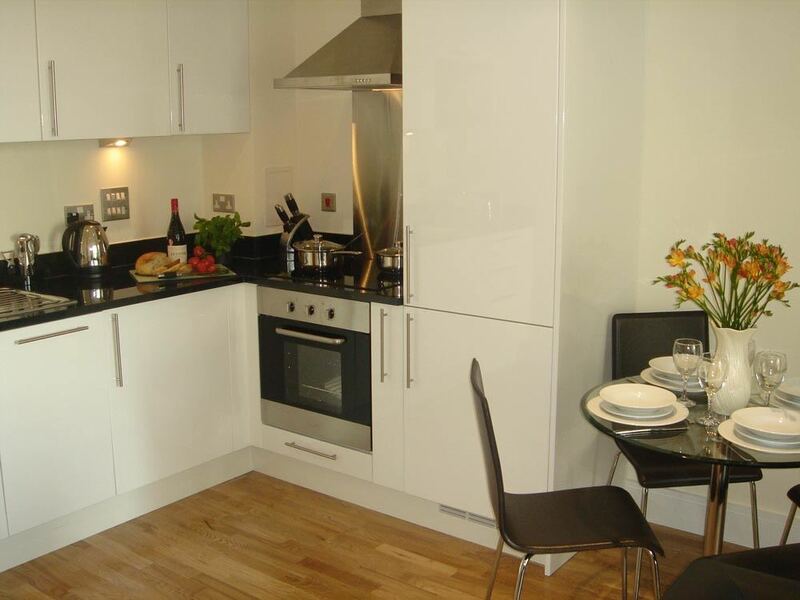 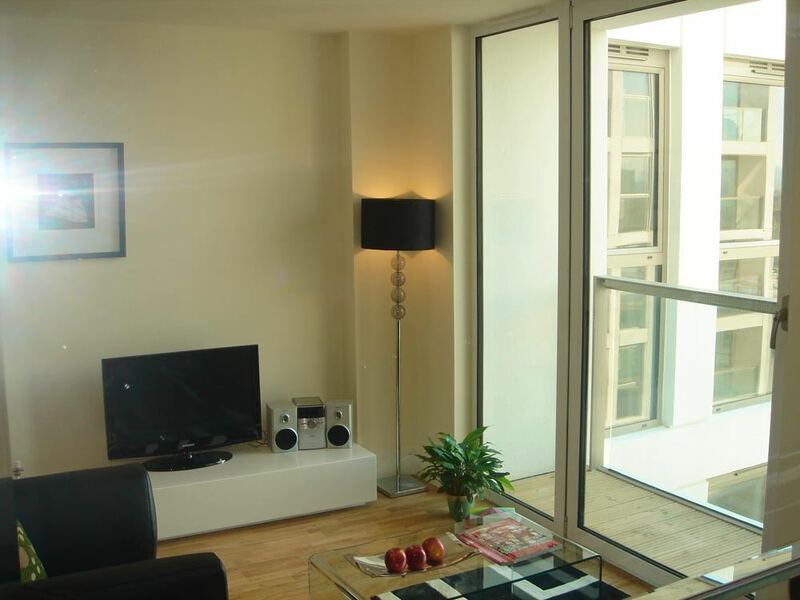 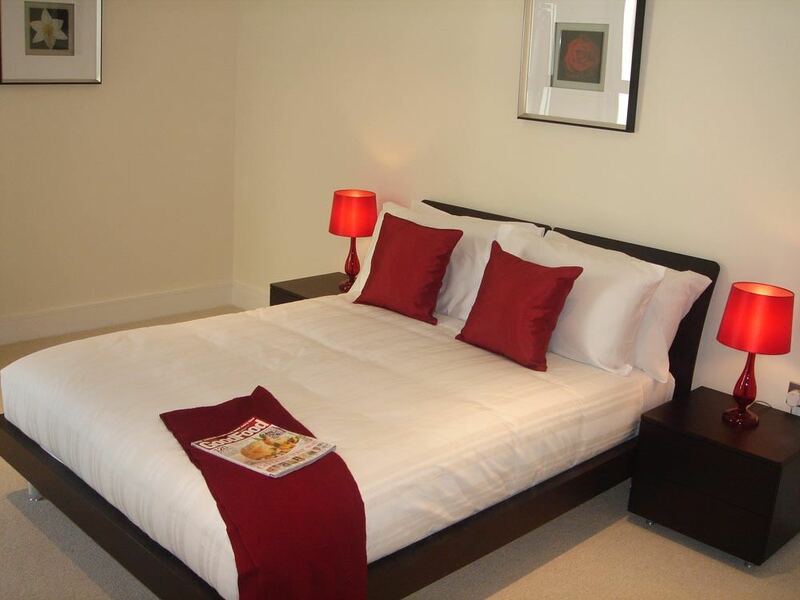 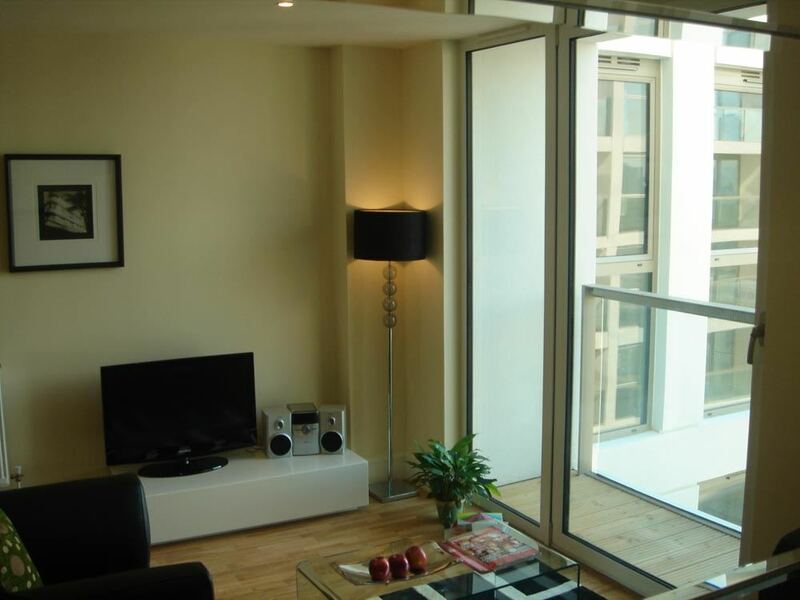 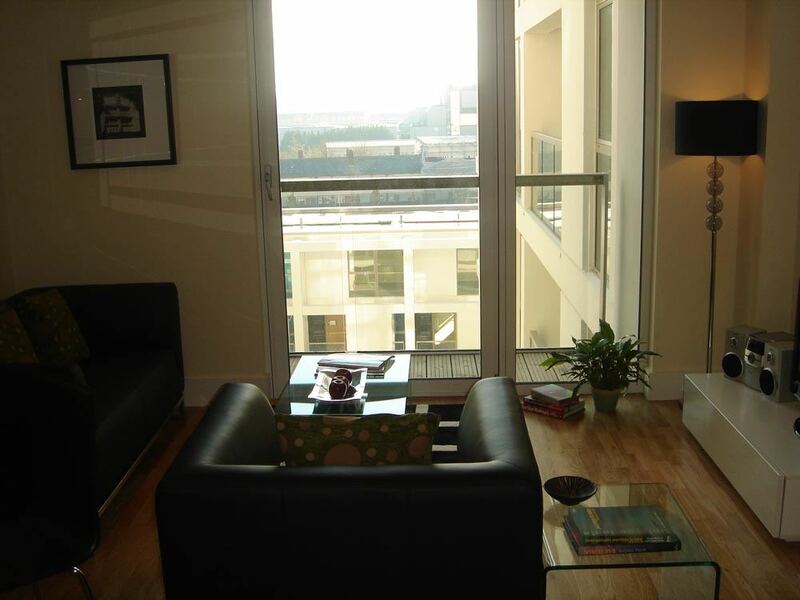 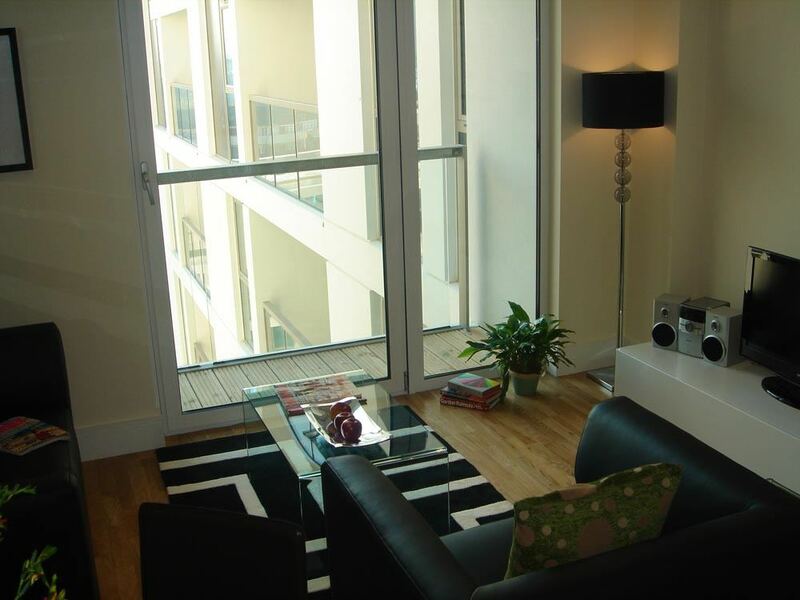 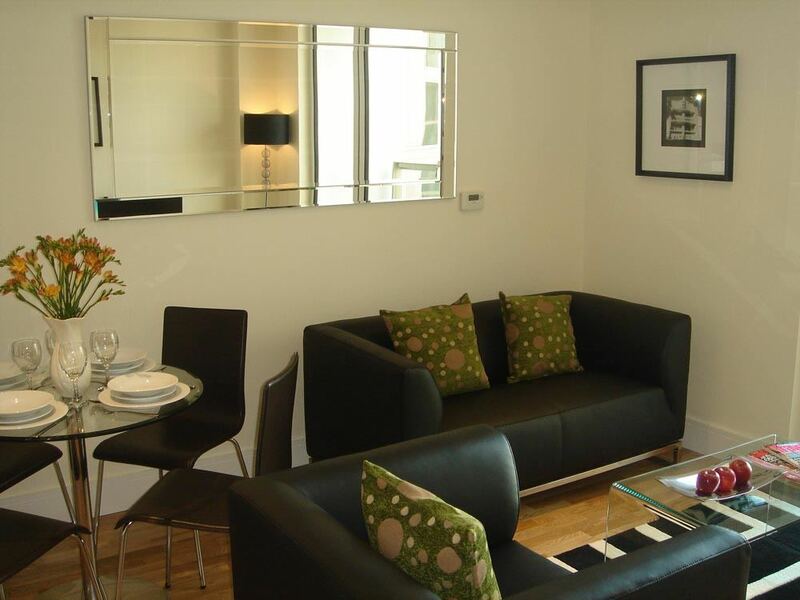 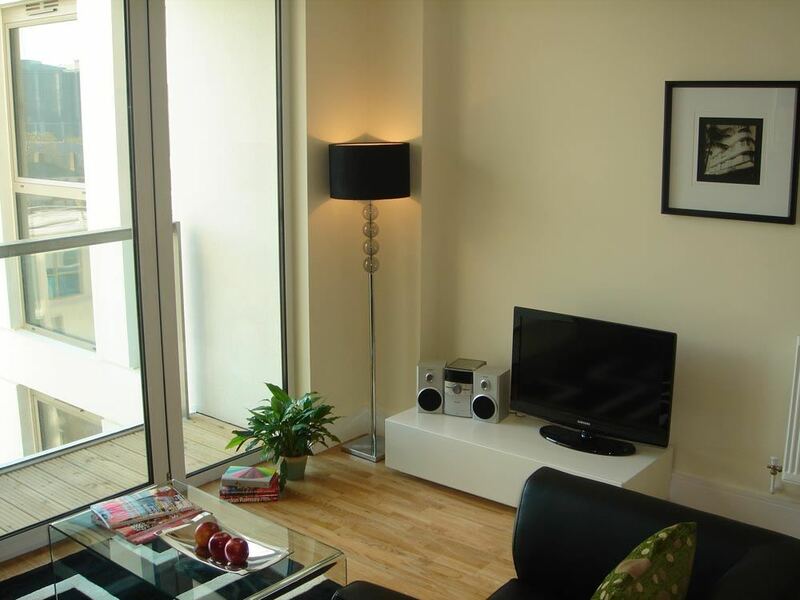 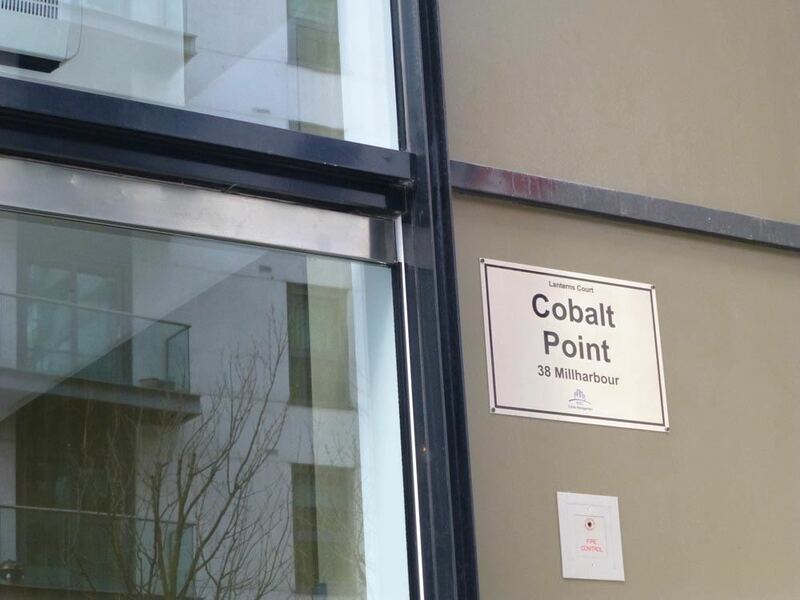 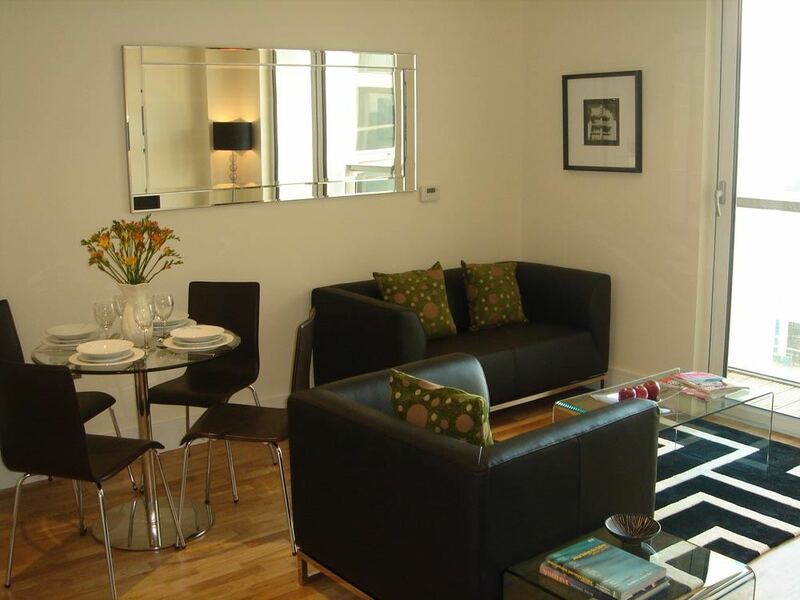 With easy access to central London and a close proximity to attractions like the O2 Arena, ExCel Centre and National Maritime Museum, these stunning serviced apartments provide a convenient base for business and leisure travellers. 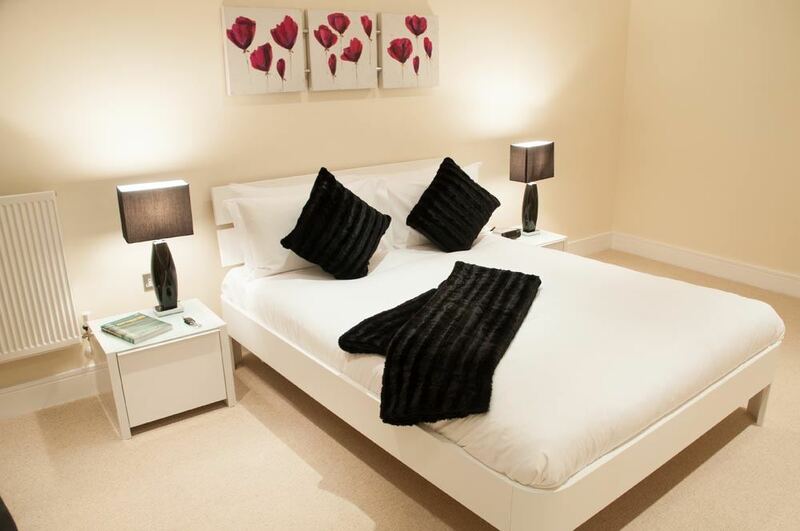 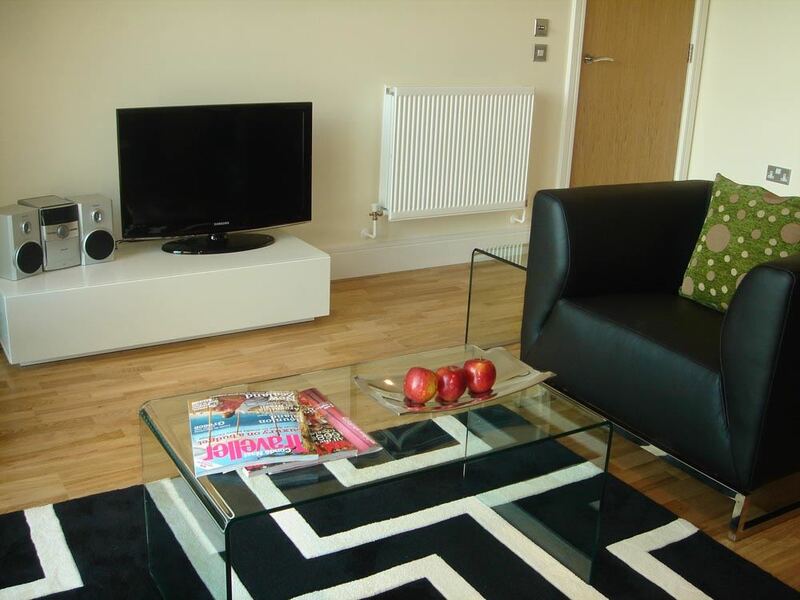 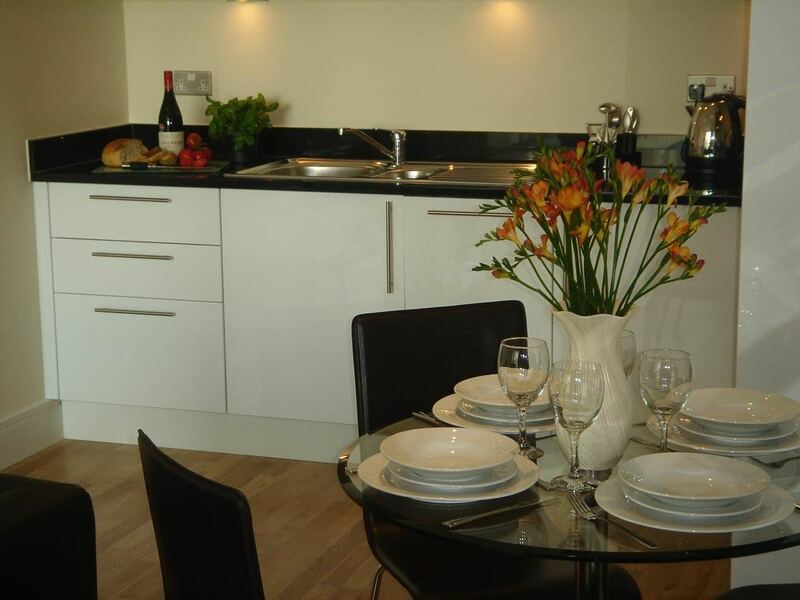 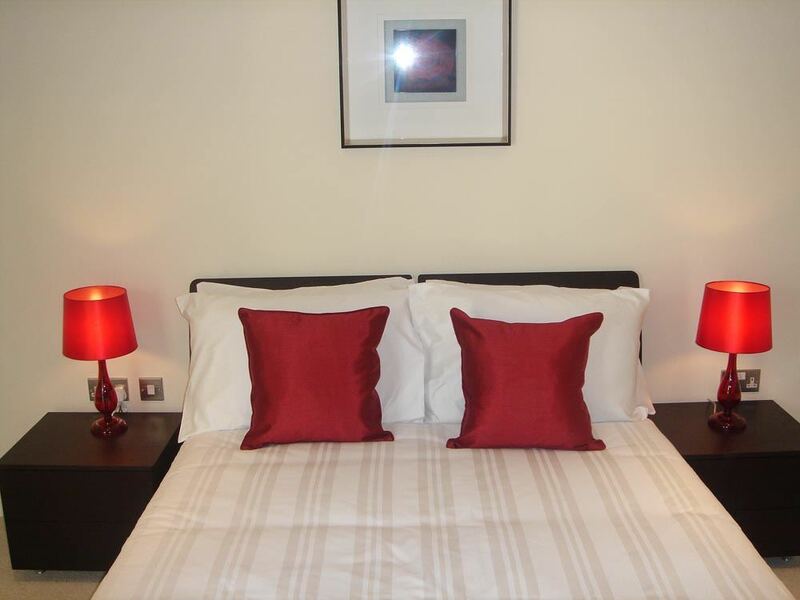 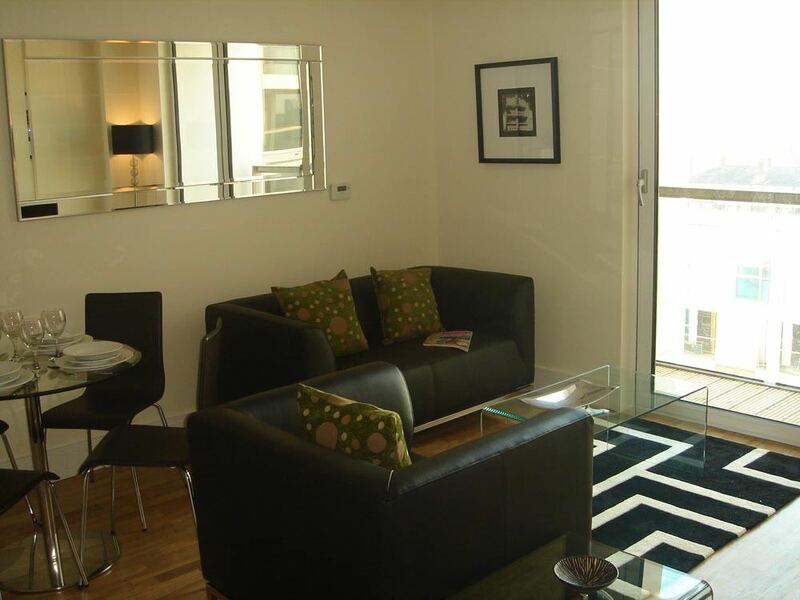 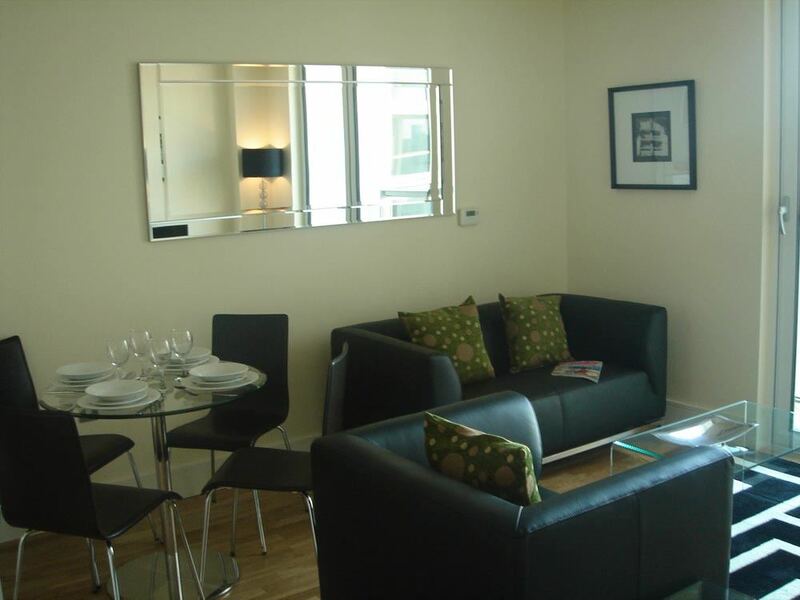 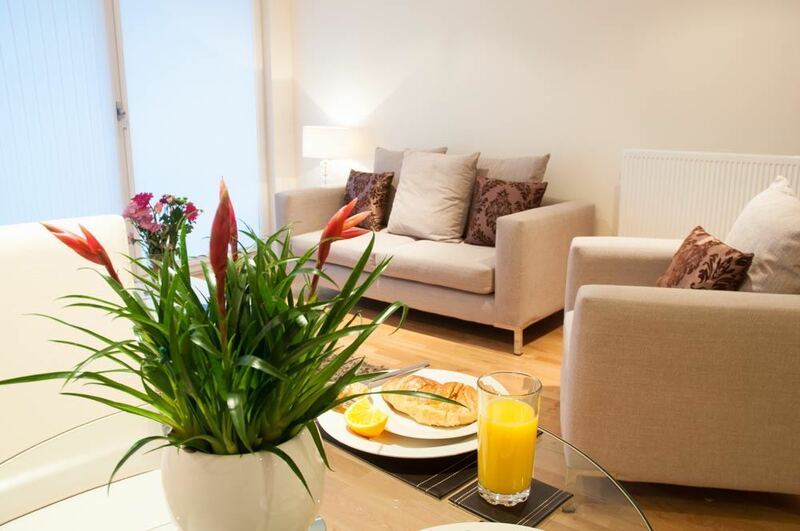 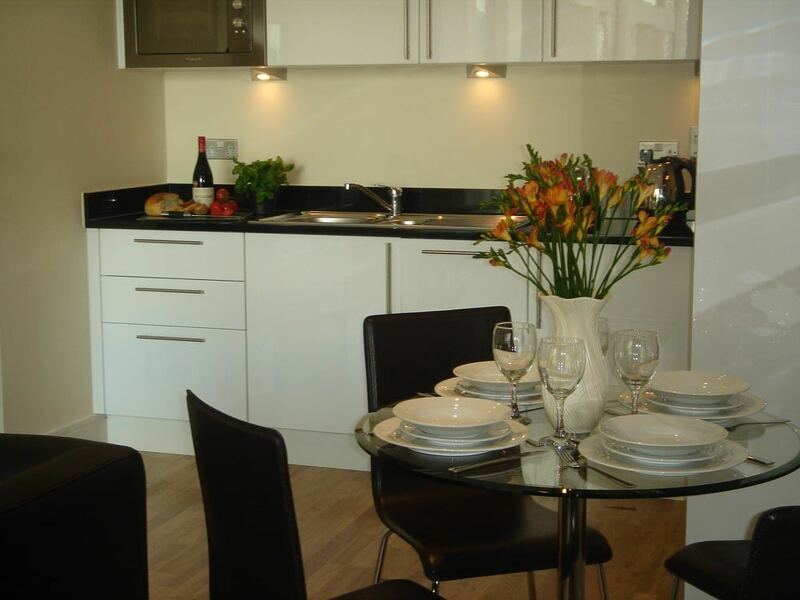 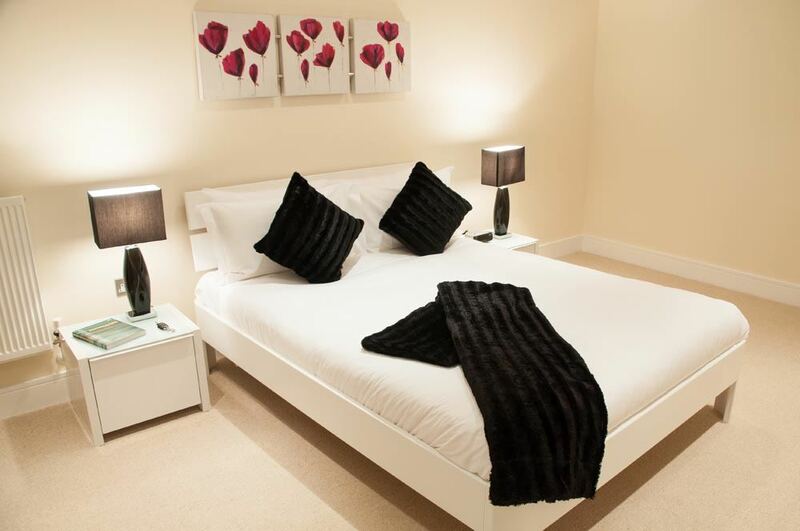 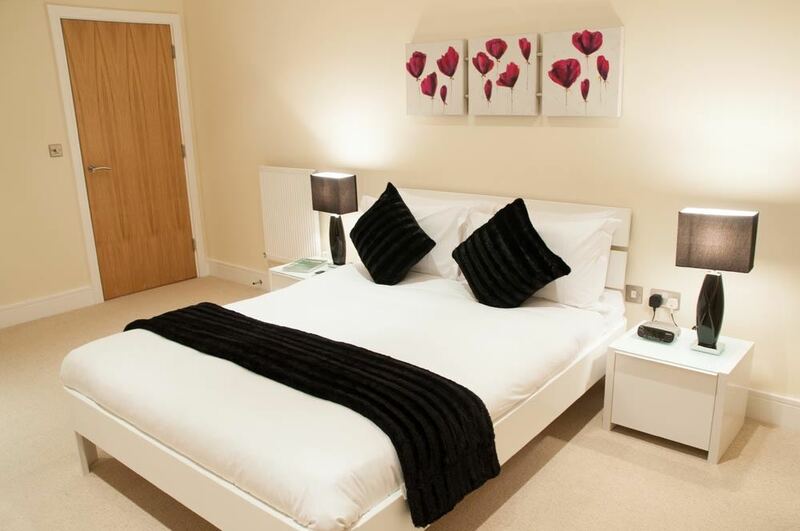 Lanterns Court Apartments 1 offer bright and spacious apartments that are presented with contemporary furnishings, flat screen TVs, modern bathrooms and all the essential amenities you need for a relaxing stay. 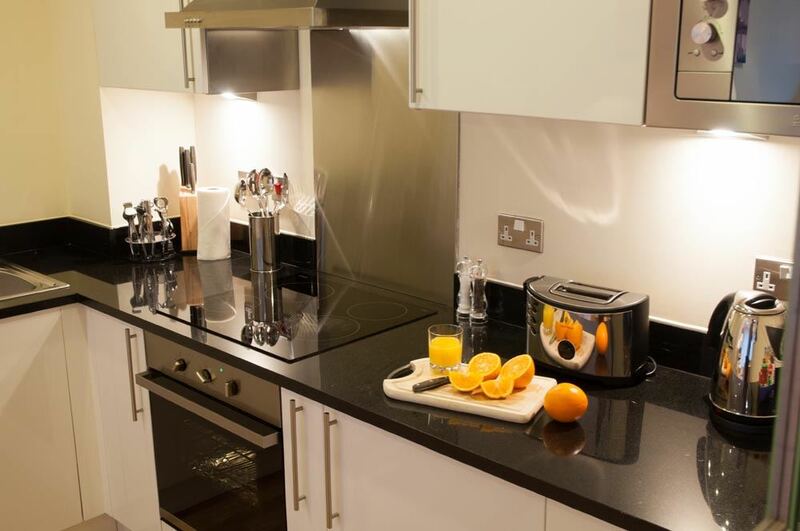 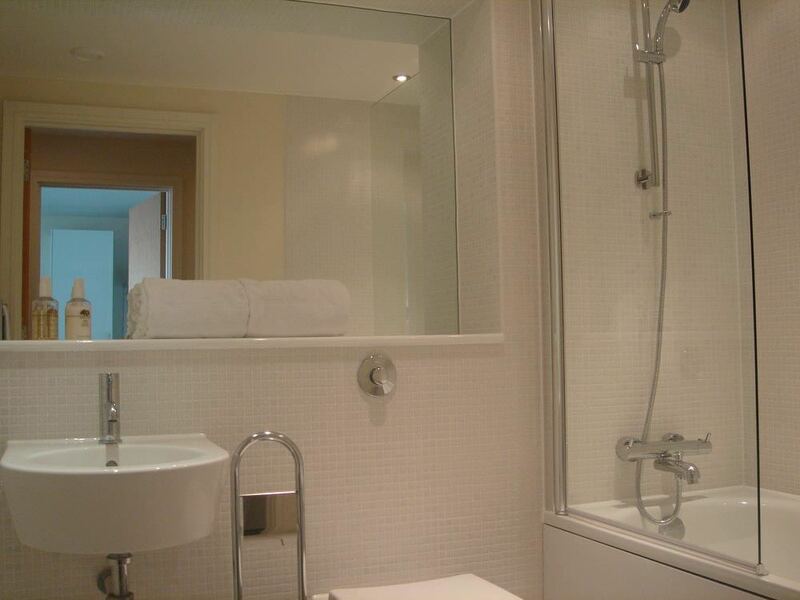 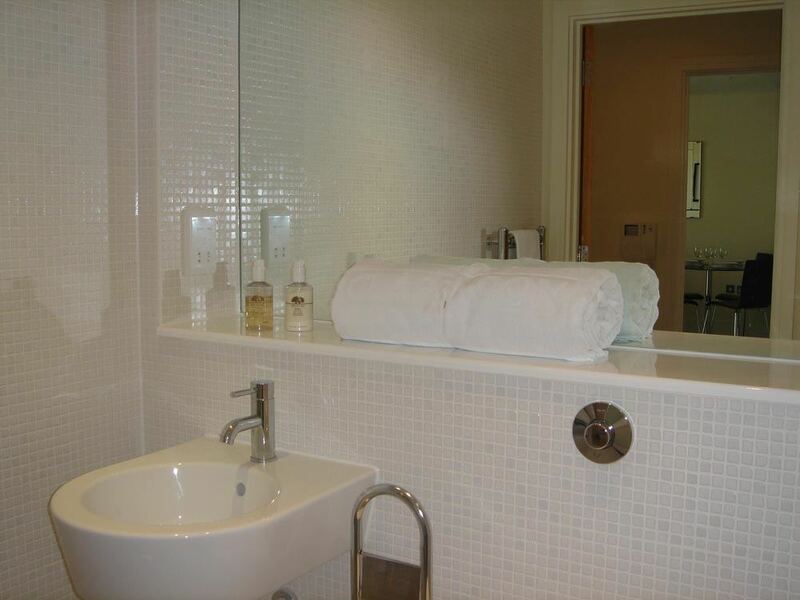 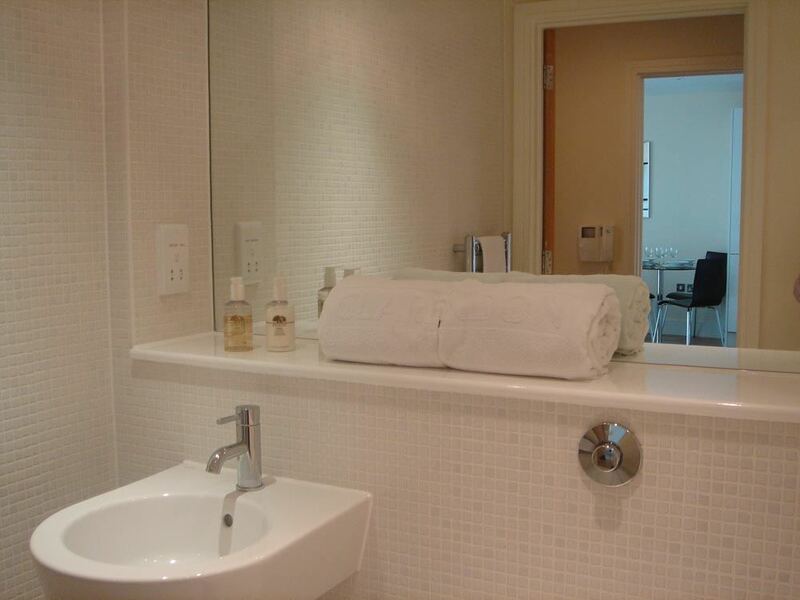 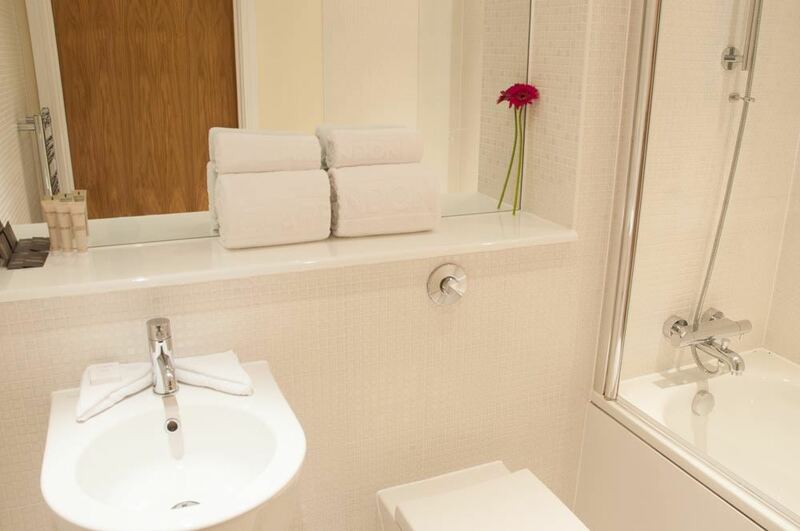 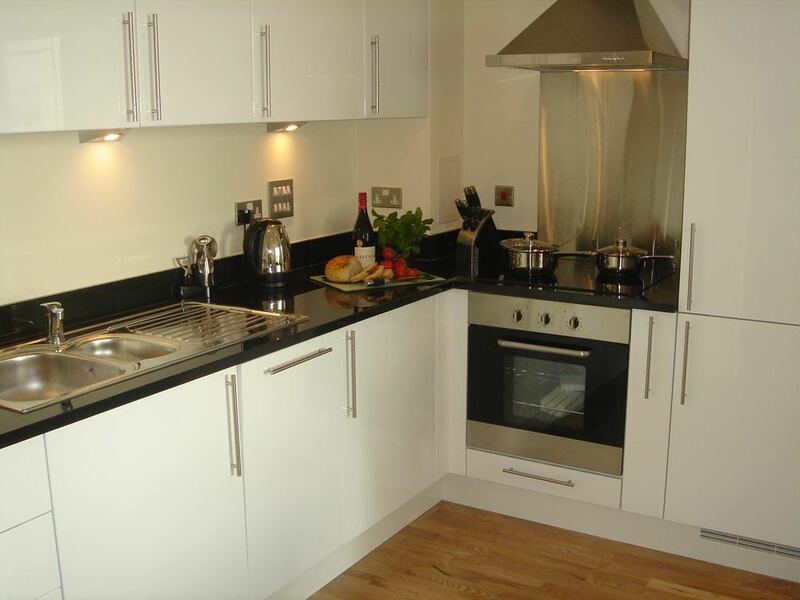 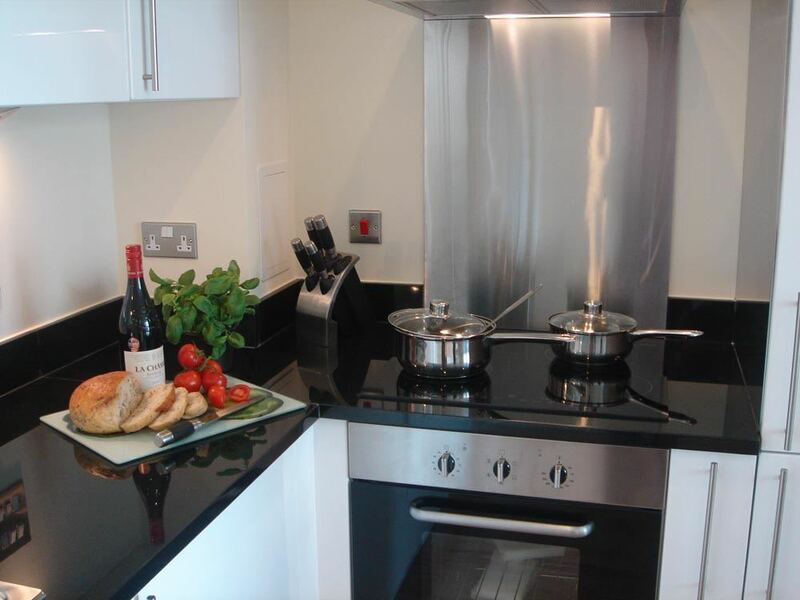 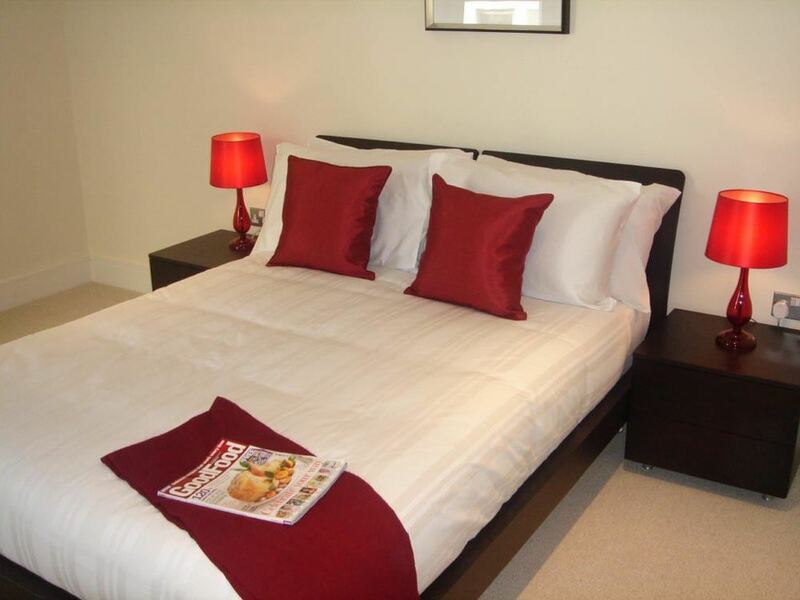 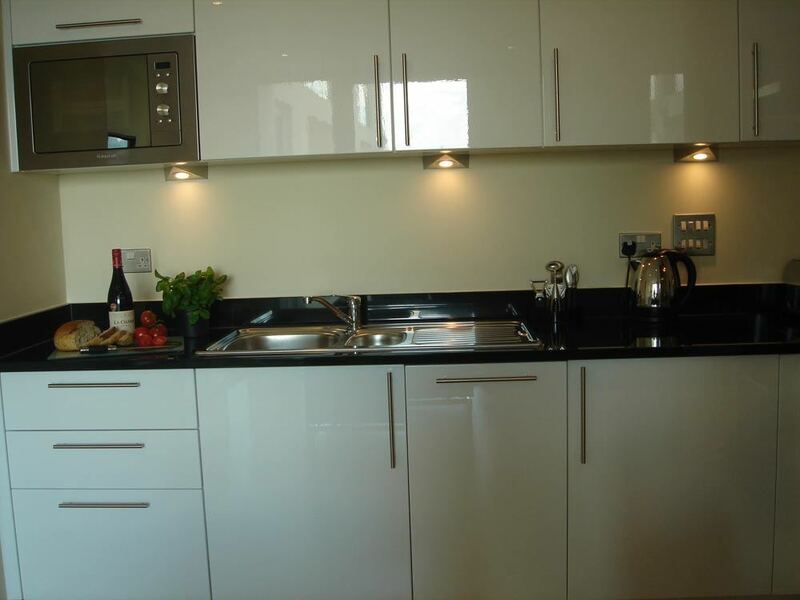 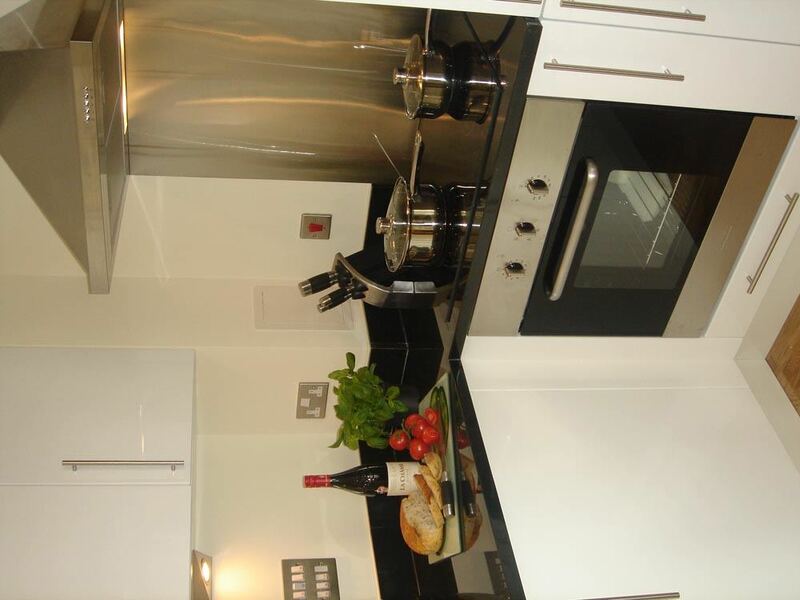 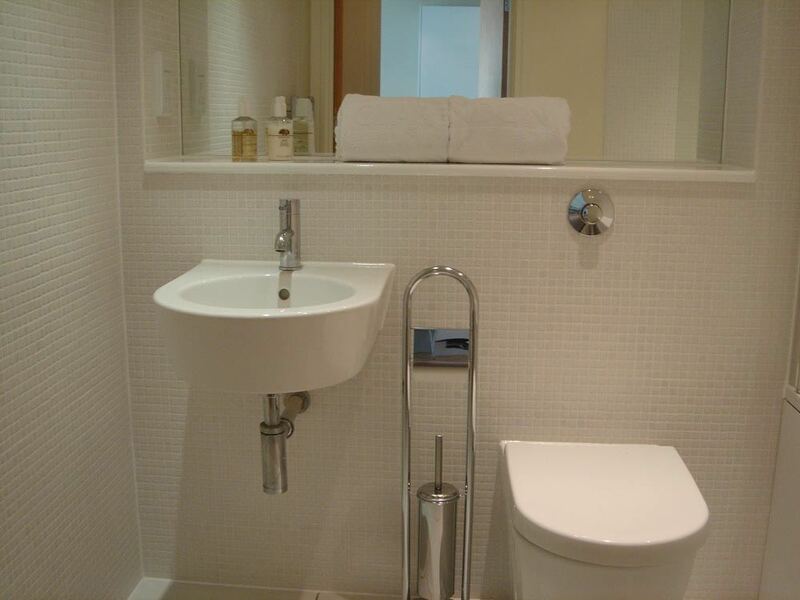 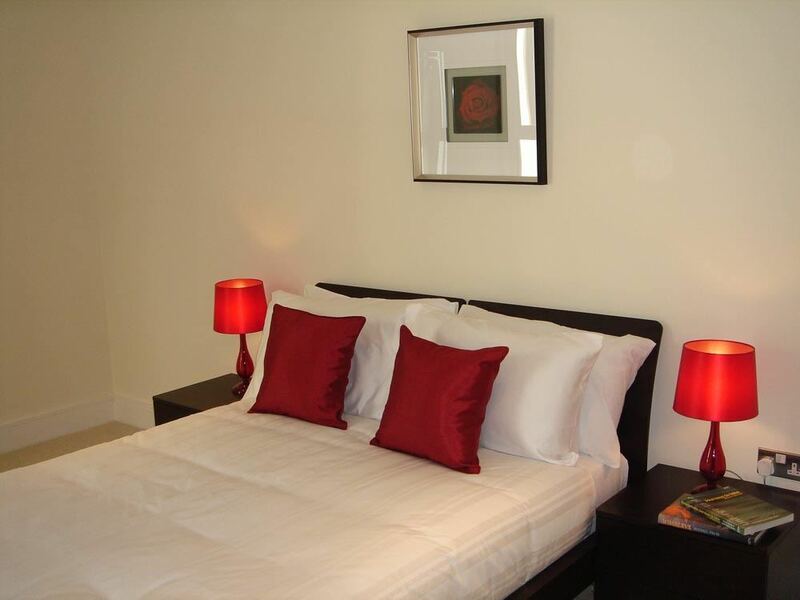 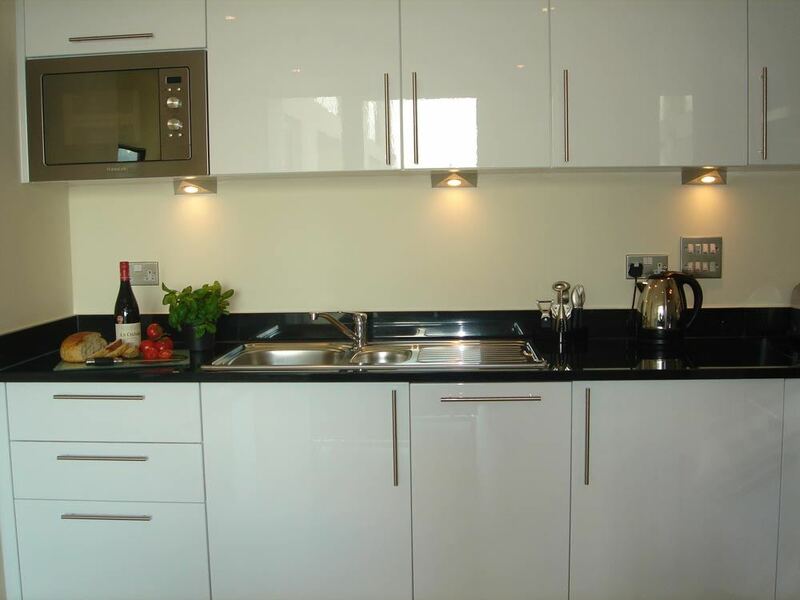 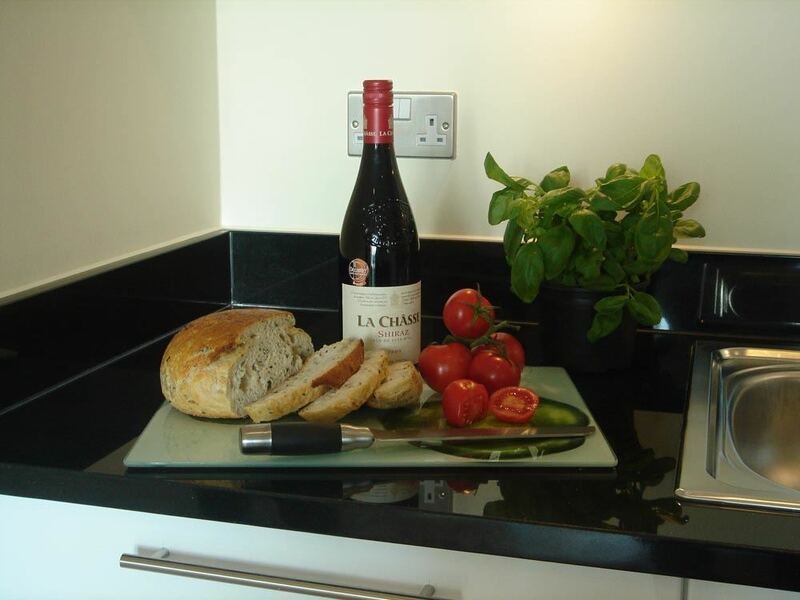 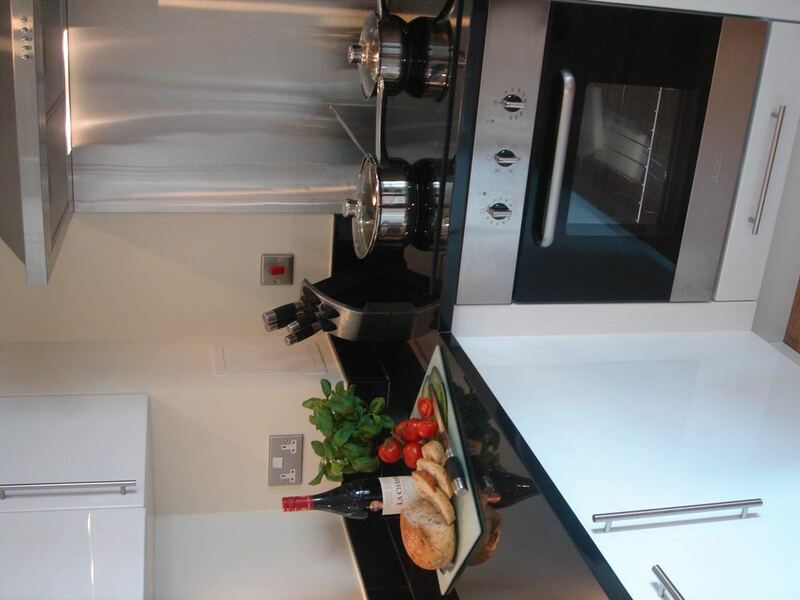 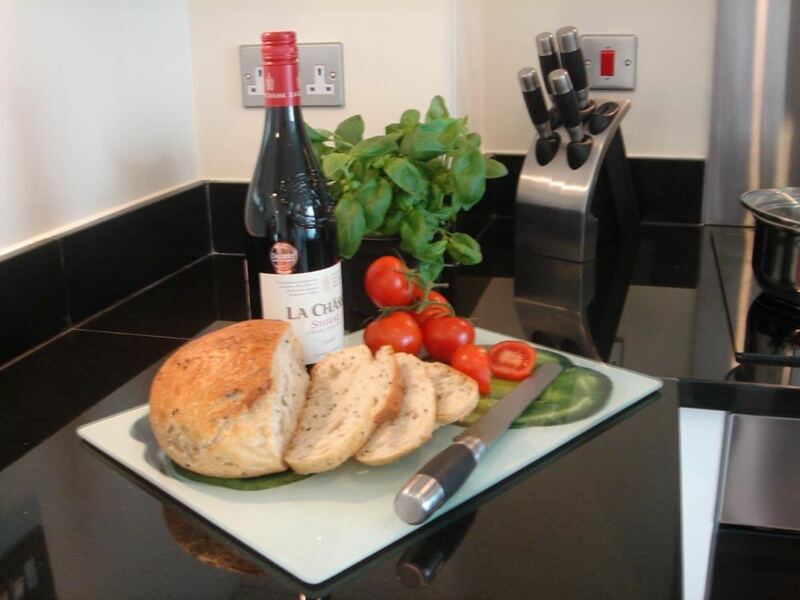 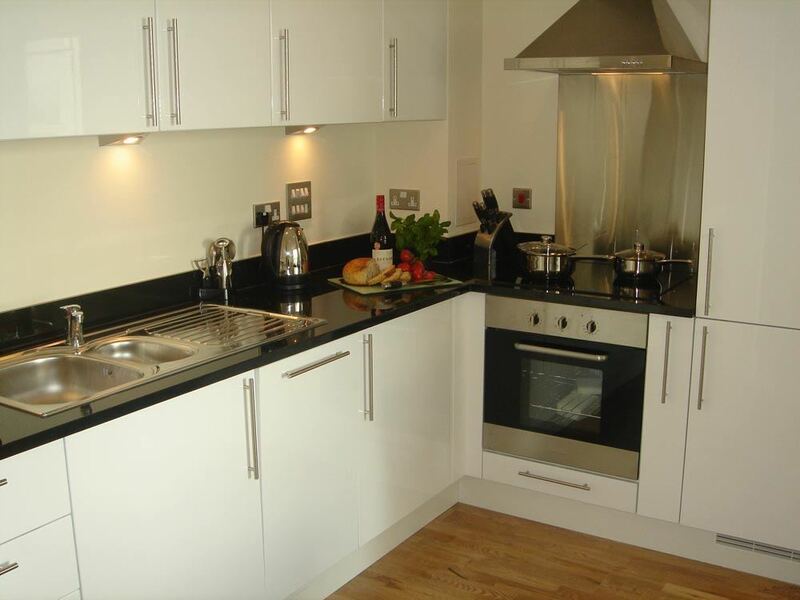 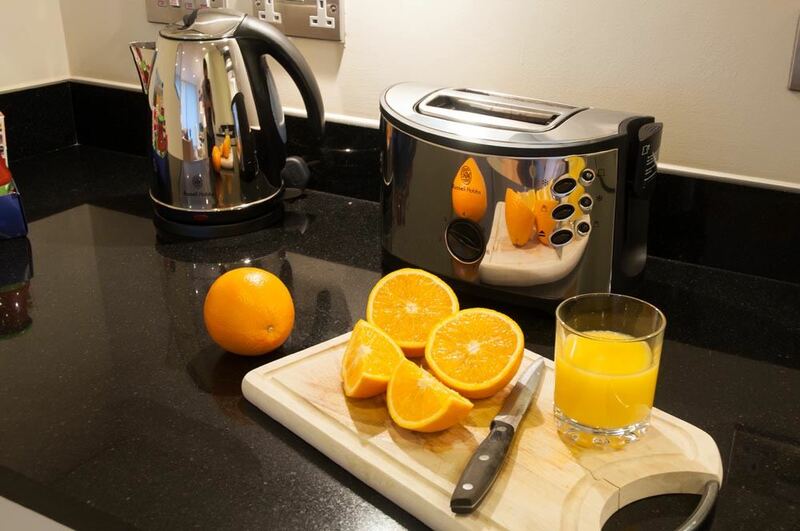 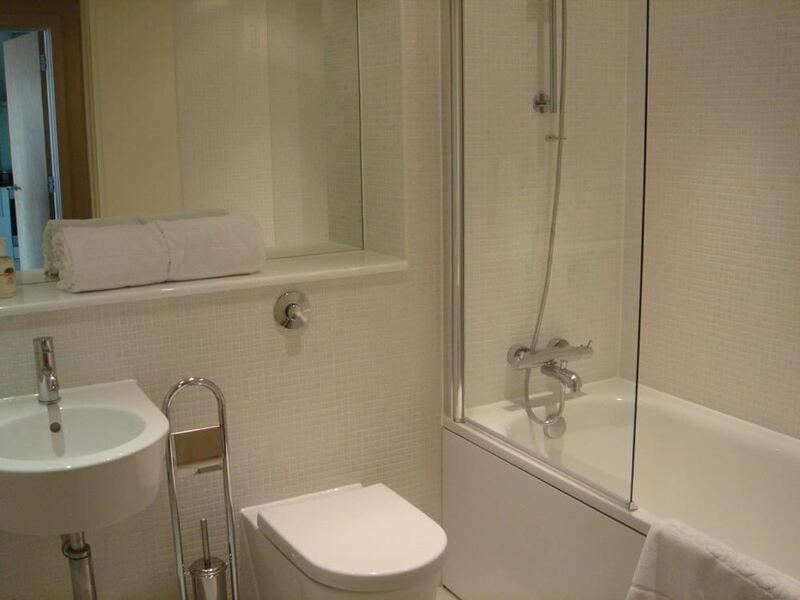 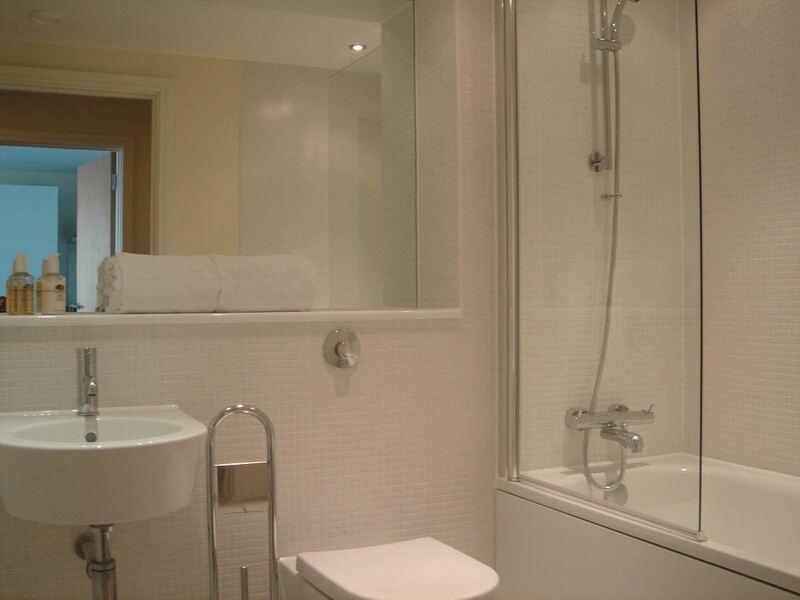 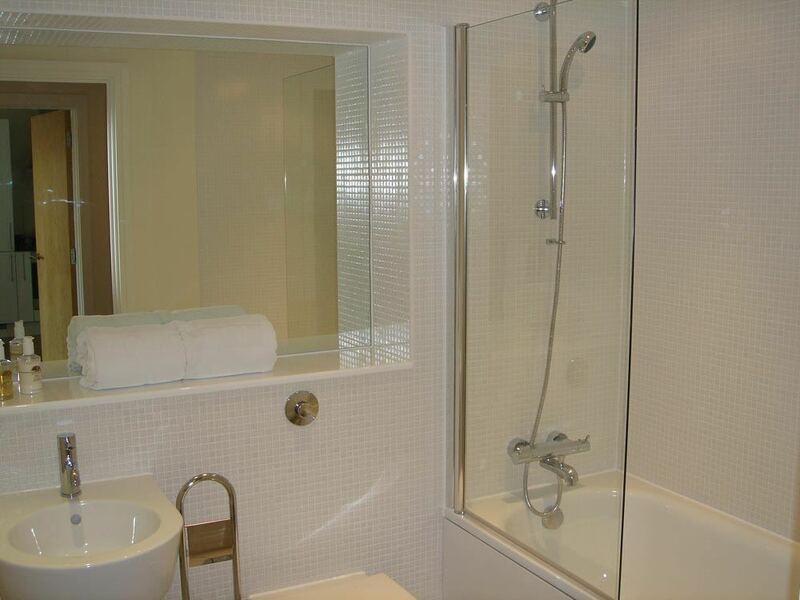 Weekly housekeeping ensure clean and fresh living areas and included benefits such as free internet, DVD players and dishwashers make this an ideal choice for London short term accommodation. 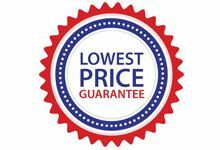 Please note: A one off Induction Training cost applies for using the gymnasium (Bookings of 14 nights and more). 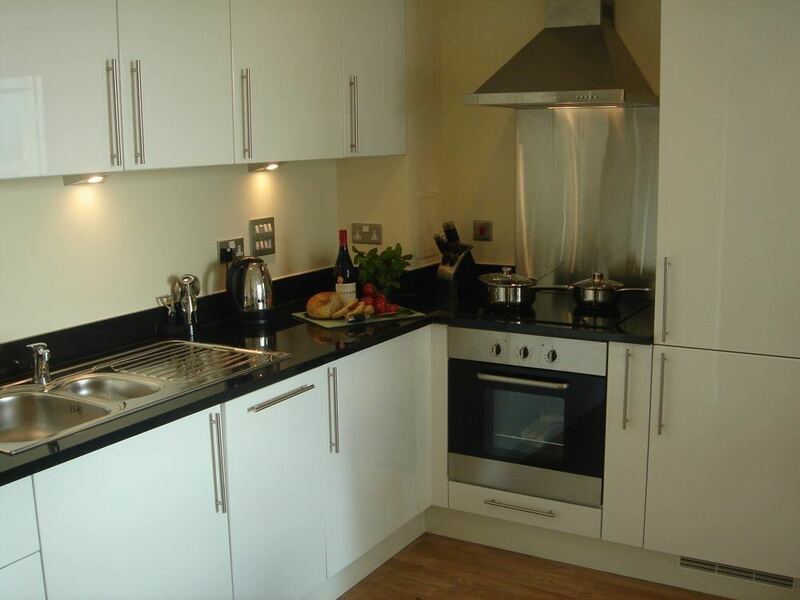 Sleeps two and has a separate bedroom, double beds, one bathroom, a fully equipped kitchen and a spacious living and dining room.